My grandmother had a room in her house that we were not allowed to enter. It was just off the kitchen, and she would go in and out of it at various points during the day, whether to dress, to fetch a gift, or to get the right tool for a project. It wasn’t locked, but we knew it was her room and I never even tried the latch. I thought of her room recently, wistfully, when I could not find my good scissors. They are supposed to rest in the middle drawer of my desk, beneath my thicket of screens. 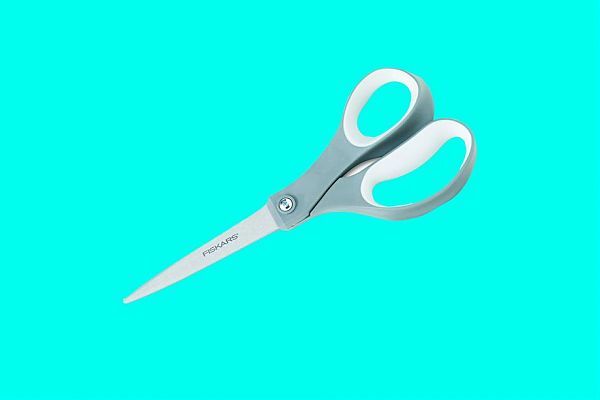 I use them for opening book packages and slicing through wrapping paper, cutting my kids’ hair or scalloping an edge. When I need them, they should be there, sleek and sharp, and they were not. I had to borrow my husband’s giant-handled scissors and gave myself a blister. I gave my son a trim with the kitchen shears and it showed. I tried miniature kid scissors on packing tape, which caused a tangle.